Girls in Tech Las Vegas has gathered 3 community members to offer real-life tips and actions entrepreneurs can practice to improve communication and resolve conflicts. Communication & Conflict Management Discussion Panel is scheduled to take place Monday, March 23, 2015 from 6:00 to 7:30 PM at Work In Progress and is a free event. The moderator for the panel is Andrea Rishmawi, Executive Recruiter at FILD. What has been the biggest conflict or obstacle (internal or external) that you have overcome and how did you overcome it? What do you see as a really common conflict or communication barrier? What is something that might impede a person’s growth, but is commonly overlooked? What are tips for standing up for yourself without coming across as too aggressive or too passive? What is a way that you can help offer unsolicited advice to someone who appears to be in a difficult situation, without being pushy? 3) American Dream U partnership liaison (Duties: attend the monthly mtg, create online classes related to entrepreneurship and internet marketing, recruit volunteers to create online classes, 1 meeting per month check-in with American Dream U community partner). 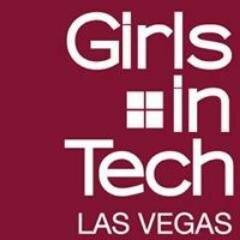 Get in contact with the Girls in Tech Las Vegas team on their Twitter account @GirlsInTechLV. About Girls In Tech: Girls in Tech (GIT) is a global organization focused on the engagement, education and empowerment of influential women in technology. As women with the capacity to inspire and lead, it’s our desire to sustain an organization that focuses on the promotion, growth and success of entrepreneurial and innovative women in the technology space.